At last, a sensible book on how to make the most of your clothes when retired. 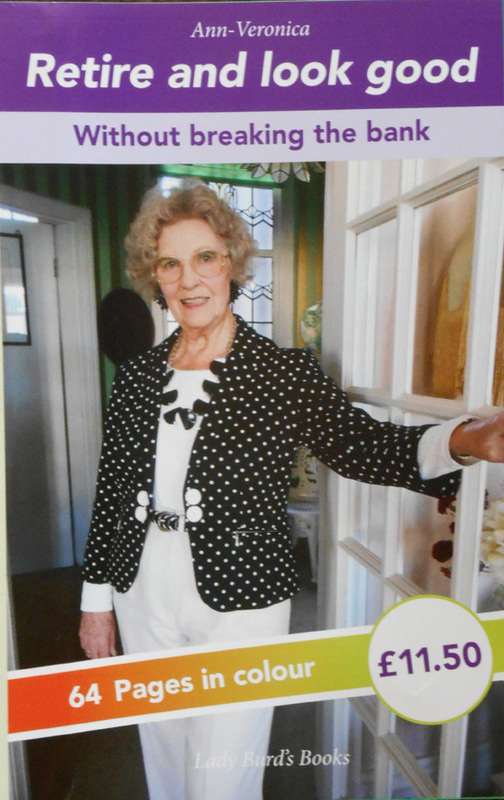 Ann-Veronica, a retired East Grinstead headmistress, has tackled this problem by opening her own wardrobe in a colourful volume where readers can see the many ways she has dealt with this dilemma. Her book is entitled ‘Retire and Look Good’, and has the tempting sub-title ‘Without breaking the bank’. Many colour photographs are set opposite witty descriptions of ways one can match classic clothes already in the wardrobe with racier jewellery and accessories to provide a more relaxed and eye-catching ensemble. One innovation that makes this book something of a revelation is the fact that Ann-Veronica decided to model everything herself. Not for her the 25 year-old professional (who would ‘look good in almost anything’) attempting to portray outfits for the mature woman. No! Here we have someone showing that it’s possible to catch the eye at any age provided some care is taken with one’s appearance, and in particular with the clothes you wear. Nor is Ann (as her friends all call her) wary of revealing her age: the front cover of the book shows her just a few months after she celebrated an important wedding anniversary. ‘Retire and Look Good’ is crammed with surprises. Ann reveals sources of bargains, mentions prices, and generally comes up with a host of ideas to confirm the observation that we are in the Age of the Older Woman. Her 130 colourful pages may be ordered or collected from one of Eastbourne’s best independent bookshops: Tome Books, near the sea in Terminus Road. Their phone number is 01323 646288, email tomebooks@yahoo.co.uk. Alternatively details may be obtained direct from the publisher, Burlington-Hub Press. 3burlington@post.com.